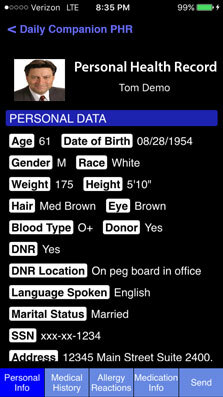 Personal Info’ contains your personal contact information and other important contact such as physicians, pharmacy, insurance, and emergency contacts. 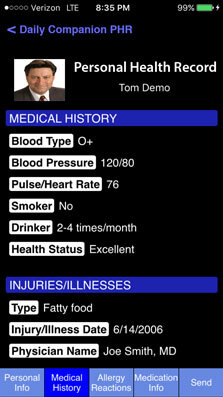 ‘Medical History’ presents a snapshot of your present-day health. 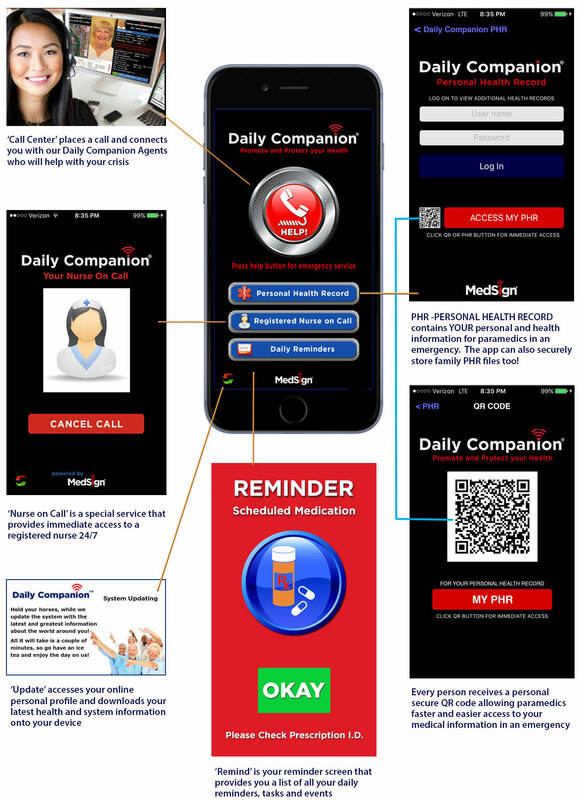 It also includes injuries, surgeries, and other important health-related information. 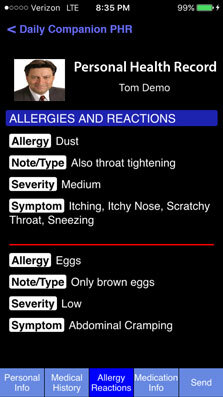 ‘Allergies-Reactions’ show paramedics critical information that can prevent any drug interaction problem during your emergency. 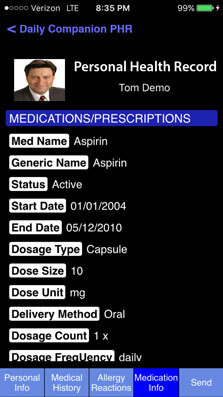 ‘Medication Info’ displays your complete list of medications and prescriptions including their type, strength, method, intake time, and pharmacy store. 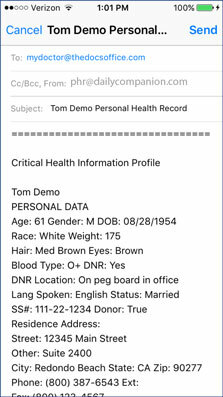 ‘Email’ allows you or Paramedics the ability to send your PHR to the receiving hospital giving them life-saving minutes to prepare for your arrival.